How did yoga transform from the isolated ancient wandering tradition of Indian ascetics to its popular modern incarnation as flowing asana in yoga studios across America and the world? The answer lays primarily in the life of one man, Tirumalai Krishnamacharya. This documentary includes interviews with his famous students B.K.S. Iyengar and Sri Pattabhi Jois who would become famous in the west for their largely postural yoga asana practices that have formed the bedrock of the characteristically physical forms of modern yoga. This unassuming film on T. Krishnamacharya, the father of modern postural yoga, moves with the calm of a breathed asana practice. It draws one into the narrative of how the ancient tradition of yoga came to be a worldwide phenomenon through the quiet austerities and teachings of this little-known man. His quiet life, love of Sanskrit, Vedic knowledge and spirituality, as well as his journey as a teacher of yoga from the large classes Iyengar and Jois attended as boys and young men to the ultimate form of yoga he taught exclusively one on one, tailoring healing yoga practices for each individual student is presented here. His students Indira Devi, B.K.S. Iyengar, Sri Pattabhi Jois, and his own son T.K.V. Desikachar are yogis of renown and fame, and Krishnamacharya is at the very heart and beginning of each of their journies. Indira Devi was the first western woman to be taught yoga–she brought it to Hollywood and to popularity within western culture. B.K.S. Iyengar, known for his adept alignment based practices, is infamous for his uncompromising system of asana and the extensive use of props in teaching asana. Sri Pattabhi Jois, the founder of the Ashtanga yoga system, initiated the basis for all types of yoga known as power or flow yoga. T.K.V. 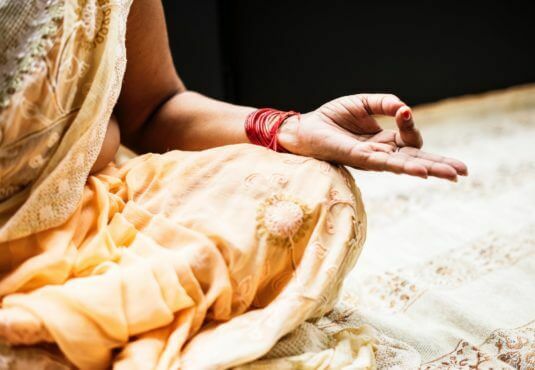 Desikachar and his students are the underlying thread in modern therapeutic yoga with a breath-based practice that offers healing to the mind, body, and spirit. If you are a fan and practitioner of modern postural yoga, you are very likely in the lineage of Krishnamacharya. This film is a must watch for anyone invested in serious yoga practice. Allow yourself to sink into the slow flow of this film as it unfolds the story of modern postural yoga’s greatest influencers. Her mission and experience are in teaching Yoga philosophy, asana, pranayama, and guided meditation to help students understand their unique mind-body complex in order to overcome obstacles. Compassionately helping others to expand their mental and physical well being includes stress reduction and mind-body acuity. 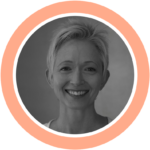 Designing and delivering courses, classes, and workshops from an Ayurvedic point of view, and actively striving to meet students where they are at, whether in a group or private setting. In this manner, enabling others to think and act creatively from an authentic sense of self through the practice of Yoga. Kari’s interests and research include the conjunction between Yoga and art.